Every time I go to Scotland I tend to visit some distilleries, usually my with friend and Guest Walker, Campbell. Whilst many distillery tours are similar, we tend to find that each one has something unique to offer, or that we see something we have not seen before. In the case of Dallas Dhu, this was because the distillery is no longer operational (it is a museum). 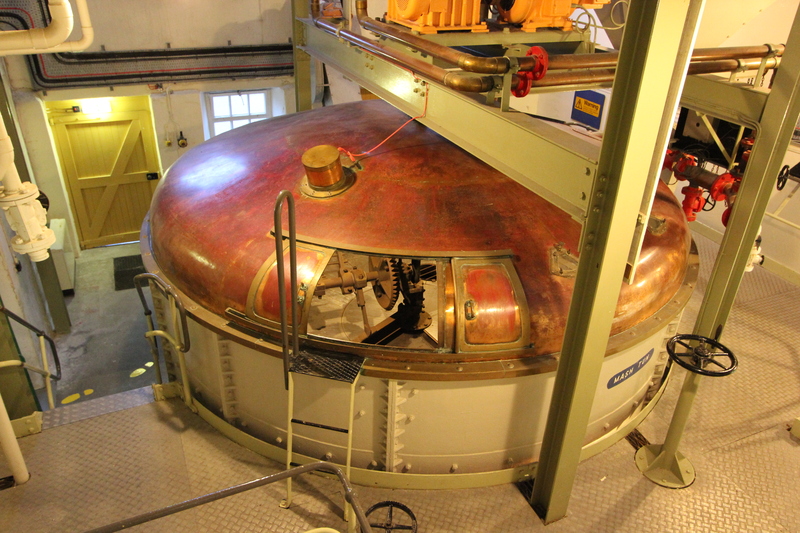 Early on in the whisky-making process, the malted barley is ground into grist and then put into a mash tun. Yeast is added and the fermentation starts. 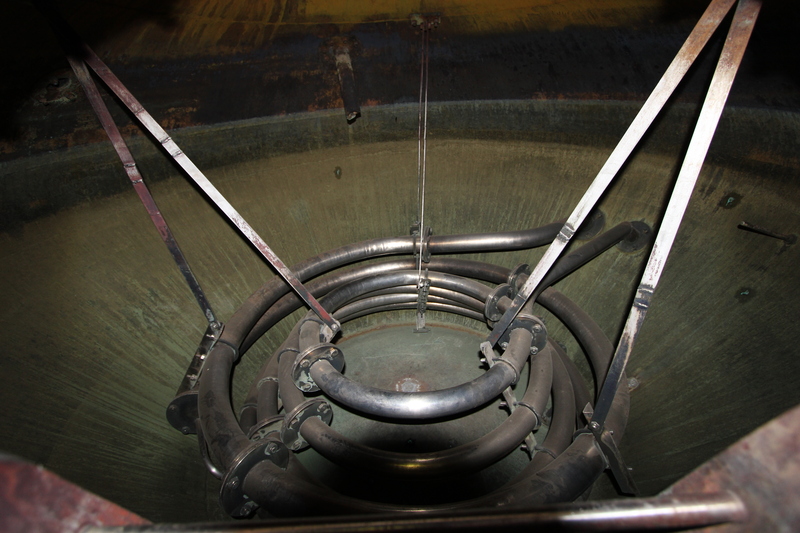 We have seen inside many mash tuns, however, they are all generally full and at work. The fact that this one was completely empty gave us a great perspective. But best of all were the stills themselves. 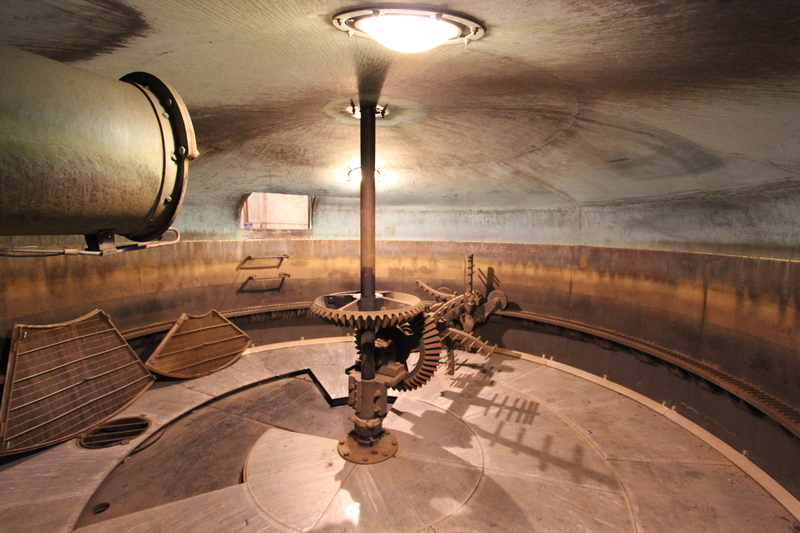 All of the working distilleries we have visited have their stills in full operational use, sometimes 24 hours a day. We had never seen inside one before. 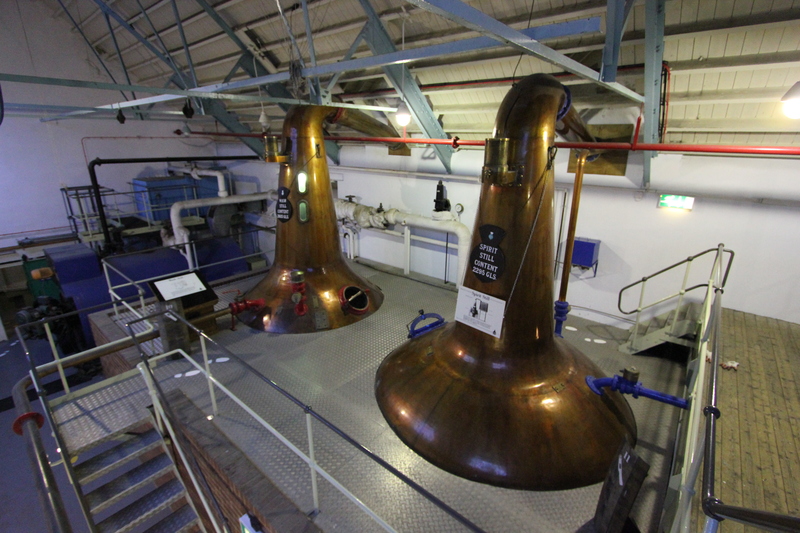 The first distillation is through the wash still (red), and then the second through the spirit still (blue). We were able to have a peek inside. That’s quite a heating element! This entry was posted in Scotland, Whisky and tagged dallas dhu, distilling, mash tun, still, travel, whisky. Bookmark the permalink.